The game started out neck to neck with Mofufus up at the half 33-30. 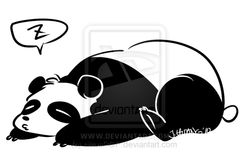 But then Sleeping Pandas woke up in the second half to outscore Mofufus 34-21 to take a 64-54 victory. Mofufus were lead by Jeff Lim 14 points and 7 rebounds and Sukhee Nee's 13 points and 8 rebounds performance. Sleeping Pandas were led by Karlo Galvez 17 points and 7 rebounds, and Ricky Kamayatsu 18 points and 5 rebounds. 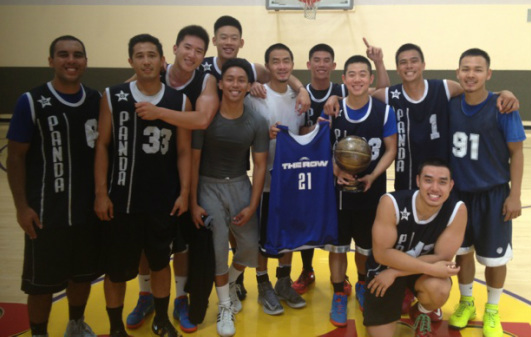 "Moanapua" Champions: Menehunes-Lee defeat Pacers, All-Stars: Pacers: Alex Koo & Geoffrey Jackson, Menehunes: Jasper Huang & Ryan Lee, MVP: Victor Yen. 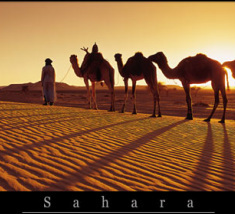 Another veteran team "Sahara' who plays in various tournaments and leagues. There captain is Danny Chu who is a skillful big man. He is a versatile big man that has a soft touch around the basket and can play lock down defense. Michael Hsio is a combo scoring guard and can go off on any given game for 20+ points. The Sahara brothers are smart veterans to this team that helps them go. They will control the paste as well as control the game out there. "RUN - N - GUN"
The RUN N GUN make there second appearance in the Menehunes Invitational Basketball Tournament. They are ran by Coach Nancy Jenkins and Kristin Oto. You can hear them cheer and coach from the sidelines. Team captain Kevin Jenkins aka "KJ", who is also a member of the Menehunes Ohana, runs his Run N Gun team which plays in various tournaments: Cornerstone, Sacramento Barons, Tigers, LVI, NSU, and Mofufus. They have a lot of experience together. They are contenders for this years tournament. Look out for there up tempo paste and watch out for "KJ" bombing those 3 pointers! Menehunes came off an exciting Tigers Tournament claiming the A+ Silver division championship. They are lead by captain Ryan Lee. 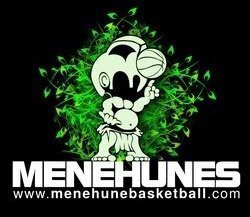 Menehunes never give up and always plays hard while they are on the court. We will see what plays Menehunes have up there sleeves this tournament. They are playing in a more competitive division then they normally do. Look out for the Menehunes! Scalabrine Express, a team that is ready to play hard and give it all they got. Coached by Susan and Vince Hamasaki, Scalabrine Express are made up of players who also play for the AA Asian Powerhouse ICEMEN. Michael Kushner, Dane Okuda (Holy Cross College) and Jonathan Woo are outstanding players on both ends of the court. Jordan Hamasaki provides tough defense and is the leader of this team. Look out for them to pull out everything they got and never under estimate the Scalabrine Express or they will light you up! Kaba Hoops is primarily a "youth" oriented basketball program, that just recently started creating an Adult Men's teams to compete in local Asian American tournaments. They competed in the Tigers & Jets Jetts Tournamentts the last 2 years and entered several Filipino -American tournaments in the LA & San Diego areas. They were always in contention for the championship. The entire team is of Filipino heritage, several of the players started with Kaba Hoops back in 2010 when KABA was first started. They have a mix of players who played HS Varsity in the LA/Orange County area and a couple former JUCO players (OCC & Irvine Valley College), we do not have any former D1 or D2 players on the roster. Our tallest player is 6'2". There charity is the Philippine National Red Cross and JFAV (Justice for Filipino American Veterans). They also host an annual youth & adult tournament (Mabuhay Invitational Tournament) held every 1st weekend in March. This year we had (120) teams in the tournament and raised $5000.00 for our 2 charities. Pacers are making there debut in the Menehunes Invitational Tournament. Coach Andy Wing does a great job getting his team going. They have size on the inside and shooters from the outside. They have quick guards as well and athletic big men. They also play controlled style basketball. They are one of the younger teams, but throughout the PTBA leagues they gained great experience playing against some pretty solid teams. This team is getting better and better after each game. They should be an exciting team to watch out there on the court. Mofufus come in this tournament as a very versatile team. They deadly shooters Jeff Lim, Bubba Su, and Clark Lopez from the outside and they have versatile inside players like Hayat Lim and Bo Huang. There leader out there will be Kenny Phan and Creighton Chow who will be handling the ball. Look out for Danny Woo with his lock down defense and his nice mid range game. Kenny Phan is in charge of Mofufus Basketball, which is another top Adult Mens basketball league in the Montery Park area. This crop of players have weekly game experience since the Mofufus league runs weekday leagues as well as weekend leagues. Visit Mofufus Sports and check out there up and coming tournament and leagues. Mofufus tournament is October 26th and 27th. Menehunes will be putting in an A+ team for that tournament as well. Sleeping Pandas is a new team to the Menehunes Invitational basketball tournament as well to the tournament Asian American Scene. Sleeping Pandas was started back in 2010 in the Diamond Bar Adult League, where they had played a couple seasons, winning a championship. 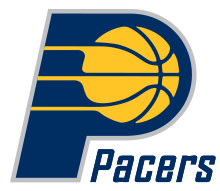 Now they have branched out to leagues like PacRim, MyPTBA, and Superstar Basketball League, winning a championship in each league they participated in. This will be there first tournament and they are excited to be playing in a tough field of teams in this years tournament.